Falling in love is easy. Staying in love-that's the challenge! How can you keep your relationship fresh and growing amid the demands and conflicts and just plain boredom of everyday life?In the #1 New York Times bestselling book The 5 Love Languages, you'll discover the secret that has transformed millions of relationships worldwide. Whether your relationship is flourishing or failing, Dr. Gary Chapman's proven approach to showing and receiving love will help you experience deeper and richer levels of intimacy with your partner-starting today. "If we learn to meet each other's deep emotional need to feel loved, and choose to do it, the love we share will be exciting beyond anything we've ever felt. 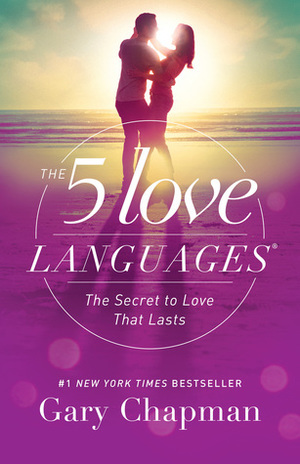 "-Gary ChapmanThe 5 Love Languages is as practical as it is insightful. Updated to reflect the complexities of relationships in today's world, this new edition reveals intrinsic truths and applies relevant, actionable wisdom in ways that work. Practice the simple steps outlined in each chapter and you'll be on your way to a healthier, mutually beneficial relationship.Also includes an updated version of The 5 Love Languages® personal profile.